For over 15 years, Progressive International has specialized in the supply of engineers, designers, project managers, and other technical and professional services personnel to a broad spectrum of industries worldwide. We bring local expertise to international markets and have the industry knowledge to help match the right candidate to the right role. 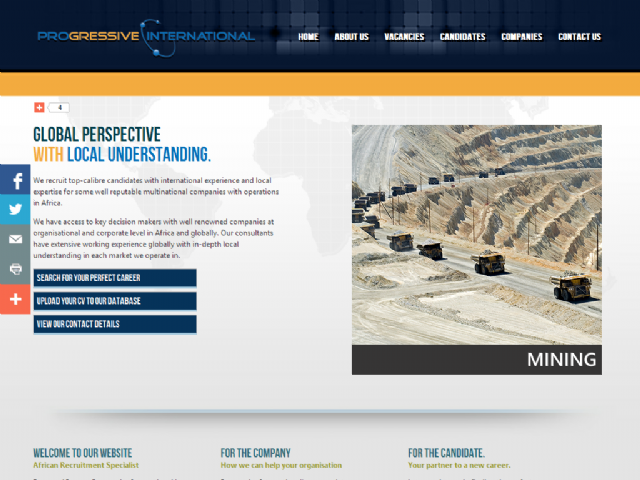 What truly sets Progressive International apart is our approach to what we do. Our goal is not simply to find you a job, but to help you find the role that's exactly right for you. Our clients include all the leading names in our specialist industries, and we have a worldwide network of contacts that we have built up over more than 15 years of recruiting. We can give you instant access to roles across a broad range of industries and on project sites worldwide.